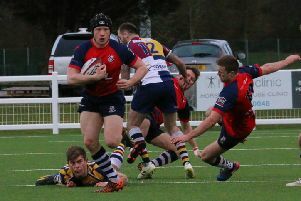 Player-coach Matt Goode will be looking for Banbury Bulls to hit the ground running in Saturday’s derby at Oxford Harlequins. Bulls travel to Oxford looking to make it back-to-back wins in Saturday’s Wadworth 6X South West One East fixture. Bulls will have to adjust to playing on Harlequins’ new 4G pitch but Goode feels the surface will suit his side’s style of play. 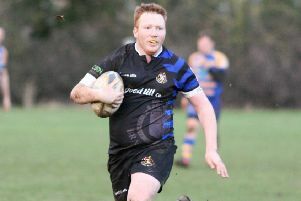 Bulls are fifth but only six points separate the four clubs behind runaway leaders Newbury Blues. Bulls entertain one of their play-off rivals Royal Wootton Bassett the following weekend but Goode says the focus is only Harlequins. Goode said: “We need to stay on winning ways and there will be no better place to do that than in the derby at Oxford Harlequins. We’ve been fairly successful over the years against them but this will be our first taste of their new 4G pitch. “It will be test of will but I’m sure the surface will suit our running style of rugby. We had the opportunity to train on a 4G but I don’t think we needed to, we like to throw the ball around the pitch. “We’re not looking any further ahead, we’re in a good place but we have to take it one game at a time because this is a weekend when the teams above us should all win. We’ve got a lot of confidence from the victory over Old Centralians but we need to make sure we retain the ball better and are more clinical. Callum Horne and Sam Stoop are the only players unavailable for selection on Saturday. Meanwhile, after several years of great service to the club, Mark Kirwin has stepped down as head coach of the Banbury Lions due to work commitments. Goode added: “The boys that have stepped up have rarely looked out of place and that has been a huge part in the Bulls’ success. Jamie Lakin and Stevie Nutt have taken control of the second side for the remainder of the season.